1. Preheat your oven to 165C (330F) and grease a baking tray or line with baking paper. 2. In the bowl of an electric mixer, beat butter on medium speed until it has a ‘whipped’ look. 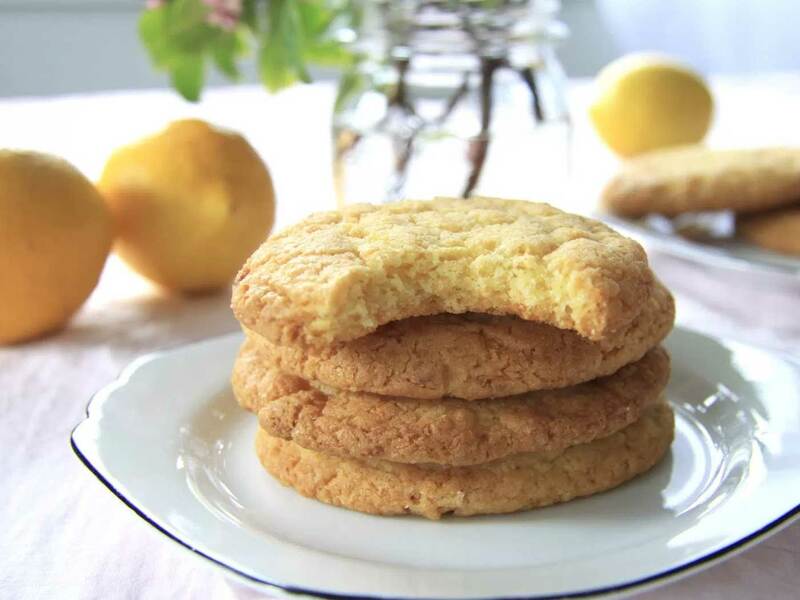 Using a fork, combine lemon zest and sugar until fragrant and oils of lemon zest are released. Add this to the butter and beat until light and fluffy. Add egg, egg yolk and lemon juice and mix to just combine. 3. In a small bowl, sift flour, baking soda and salt. Add coconut and whisk well to combine. Add this to the butter mixture and mix gently until well combined. 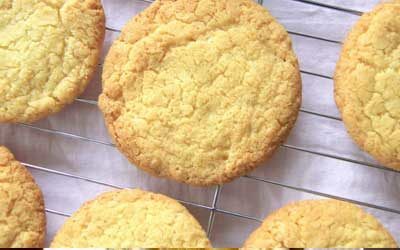 *The cookies will look really soft and as though they are not quite done – this is when you need to take them out. They will continue to cook slightly on the tray and will set in a couple of minutes. 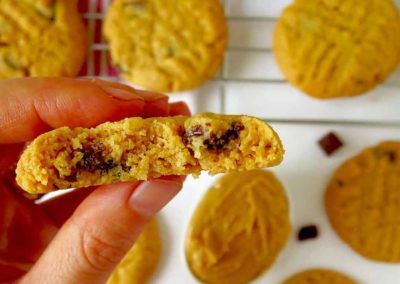 If you like crunchy cookies, bake for an extra 2 minutes. 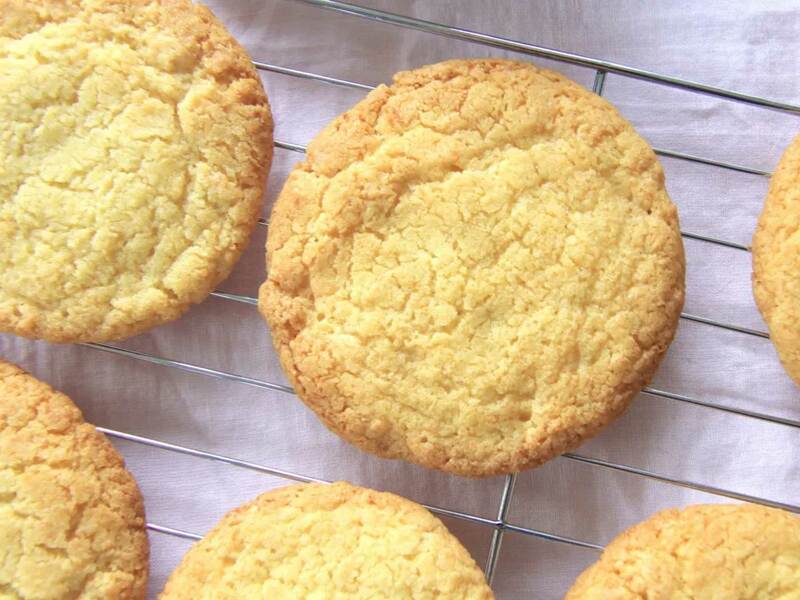 These lemon coconut cookies are a must have recipe in your baking repertoire! 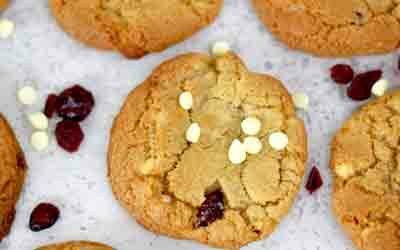 You can have your way with these cookies. Truly, you can. 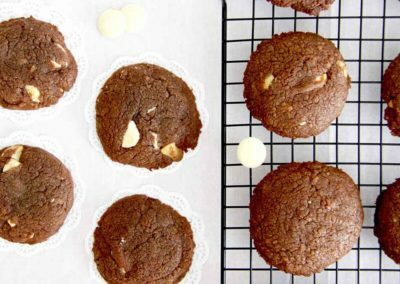 Read below how to make these cookies have your favourite texture – crunchy, chewy or a combination of both. Our lemon tree is bursting with lemons and it is such a treat to have an abundance of lemons again. We could never successfully grow a lemon tree in Wellington and the climate in the Czech Republic was not ideal for growing lemons either. Nelson however, is perfect. 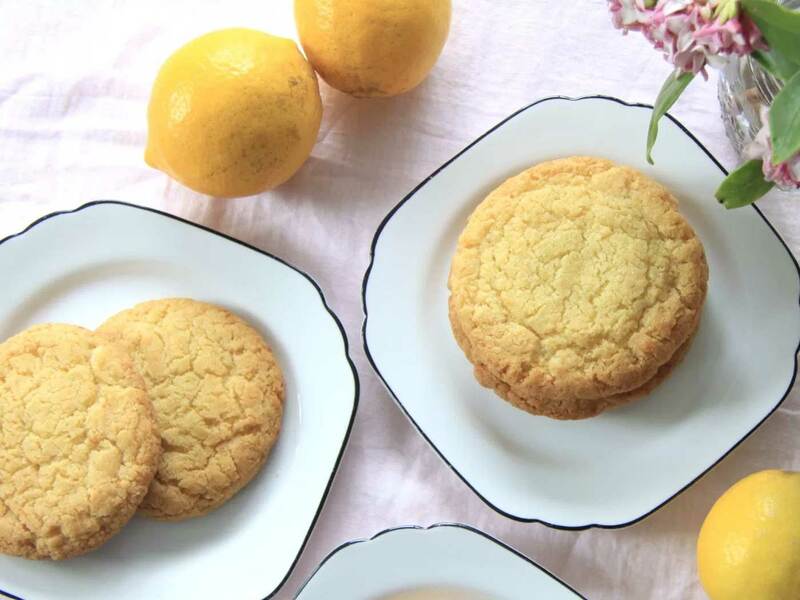 Having a lemon tree means baking lots of delicious lemoney things like…this easy cake, these sticky lemon bars and (probably my favourite lemony thing of all) this dessert. 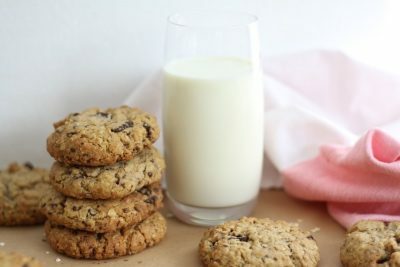 Oh and of course these delectable cookies. 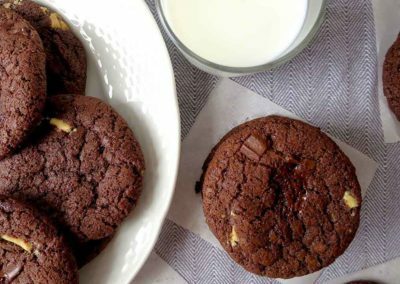 They are similar to the texture of these chocolate chunk cookies. Instead of melting the butter like we do for the chocolate chunk cookies, we beat it with the sugar instead using this creaming method. This means that we don’t have to refrigerate them and can pop them into the oven to bake straight away. 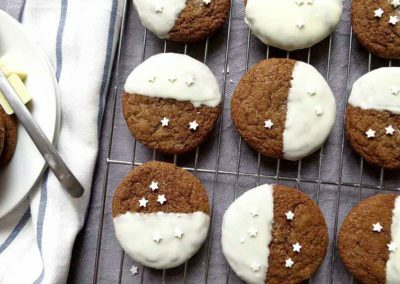 I’ll repeat that: These cookies require no chilling – horraay! 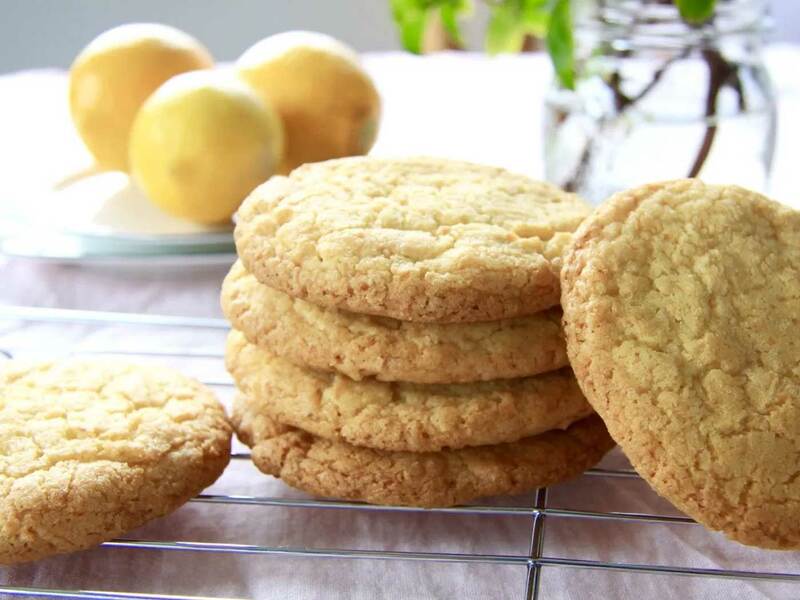 To achieve the extra lemony flavour, lemon zest is rubbed into the sugar to release all it’s glorious oils and flavour. I used to get my hands covered in sticky lemon sugar until I realised that a fork woks just as well. Crunchy or chewy? You decide. 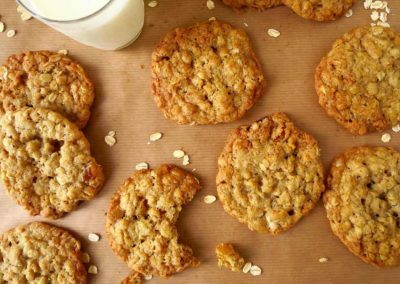 If you like crunchy cookies, bake these for a few minutes longer. 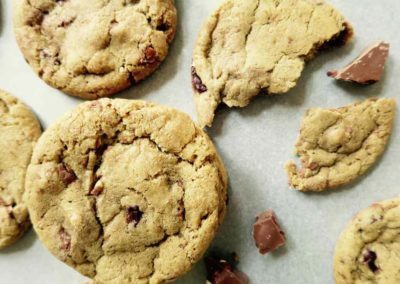 If you’re like me and prefer a softer, chewier cookie then slightly under-bake them and leave to them to finish baking on the tray once out of the oven.